Rabbits are widely used as models in biological research, and the pathogen status of rabbits used in studies can directly affect the results of experiments. Serological surveillance is the common monitoring method used in laboratory animals. A rapid, sensitive, and cost-effective high-throughput Luminex xMAP assay could be an attractive alternative to labor-intensive enzyme-linked immunosorbent assay (ELISA) methods. 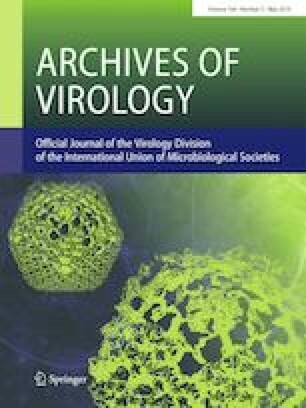 In this study, recombinant proteins from rabbit hemorrhagic disease virus and rabbit rotavirus and whole viral lysates of Sendai virus were used as coating antigens in an xMAP assay for the simultaneous detection of antibodies against these pathogens. The xMAP assay showed high specificity, with no cross-reaction with other pathogens. The coefficient of variation for intra-assay and inter-assay comparisons was less than 3% and 4%, respectively, indicating good repeatability and stability of the assay. The xMAP assay exhibited similar limits of detection for rabbit hemorrhagic virus and Sendai virus and was less sensitive for the detection of rabbit rotavirus when compared with commercial ELISA kits. A total of 52 clinical samples were tested simultaneously using both the xMAP assay and ELISA kits. The results obtained using these two methods were 100% coincident. In summary, the novel xMAP assay offers an alternative choice for rapid and sensitive high-throughput detection of antibodies in rabbit serum and can be used as a daily monitoring tool for laboratory animals. The online version of this article ( https://doi.org/10.1007/s00705-019-04226-9) contains supplementary material, which is available to authorized users. The experiments were conceived and designed by YZ, RH and MLC. The experiments were performed by MLW, FC and YJZ. The samples were collected by BHH, YXL and LX. The data were analysed by LM and FJX. The manuscript was prepared by MLW and PJG. This work was supported by the Science and Technology Planning Project of Guangdong Province, China (nos. 2017B030314171; 2017A070702001; 2018B030317001). All the authors declare that they do not have conflicts of interest.